Chicago has something to offer to every type of visitor. 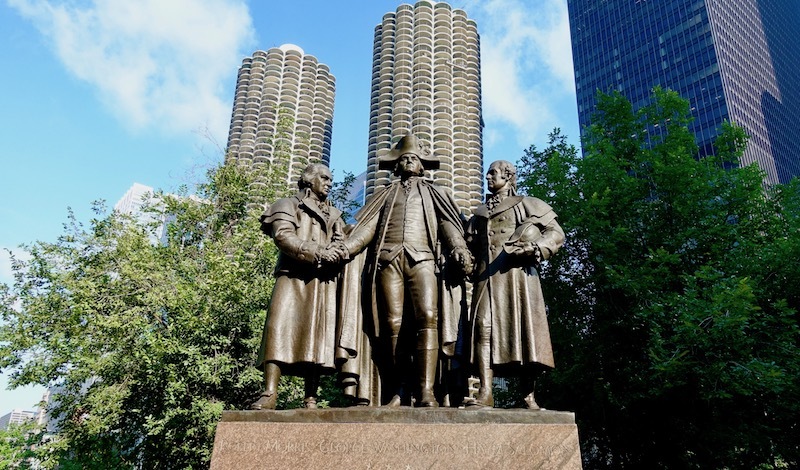 Art-lovers can head to the Art Institute of Chicago, which has one of the finest collections in the world, or just gaze at the monumental sculptures that grace many of the city’s plazas. Music aficionados can choose between the renowned Chicago Symphony Orchestra or one of the fine jazz clubs that dot the city. Students of twentieth-century architecture can spend all day observing the magnificent buildings that line the downtown streets. One of the best ways to admire Chicago’s beautiful buildings is by taking the Architecture boat cruise. Staffed with knowledgeable guides who recount fascinating stories about Chicago’s famous landmarks, it is a fun way of seeing a different side of the city. If none of these pursuits are to your taste, you can always join the Chicago Mob Tour and visit the favourite haunts of Al Capone and John Dillinger! Chicago’s vibrant economy attracts people from all over the world, producing a fascinating mix of cultures. There are large Italian, African-American, Hispanic, and Asian communities and you can find a wide variety of cuisines in the city. We had really good Mexican food in Cafe Con Leche in trendy Logan Square. Chicago’s Chinatown is fun to stroll through for dim sum, which we enjoyed at bustling, stylish MingHin Cuisine. Chicago’s famous deep dish pizza is what every discerning tourist needs to taste at least once. We decided to head over to popular Lou Malnati’s pizzeria to try it. If the long waiting lines were any indication, we knew it would be very good! The pizza arrived in a special deep dish pan, bubbling with gooey, cheesy tomato sauce and spicy Italian sausage, baked in their signature crisp butter crust - an experience so delicious, we had to repeat it twice! Apart from deep dish pizza, Chicago is well known for it’s innovative culinary scene. With many celebrity chefs opening Michelin starred restaurants here, creative, delicious food is everywhere! We had fantastic Indian food while in Chicago and these appetizer kababs were the highlight of our meal. Corn adds sweetness to these delicious kababs, while spinach and herbs add freshness and flavour. Be sure to dry the herbs and the corn well to keep the mixture from getting runny or if the mixture is too wet, simply add an extra couple tablespoons of the chickpea flour to hold them together. Leftover kababs freeze well for a rainy day! Combine all the ingredients (except oil) in food processor and mince well. Transfer to a mixing bowl. Shape 14 kabab patties out of spinach and corn mixture, flattening them to about 1 1/2 inches in diameter and 1/2 inch in thickness. Warm oil in a large non stick frying pan over medium low heat. Cook kababs in two batches, for about 10 minutes per side. When kababs are cooked through, slightly crispy and lightly browned, remove to a paper towel lined platter and repeat with the remainder of the kabab patties. Serve hot with mint chutney and a wedge of lemon if desired.